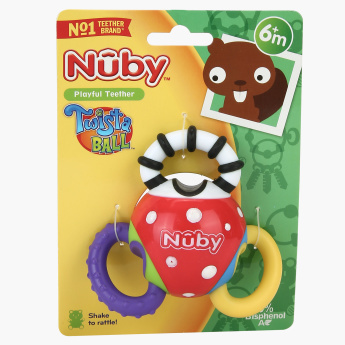 Nuby Twista Ball Playful Teether and Rattle | Multicolour | Designed accordingly for teething and rattle. Massage and soothe your baby’s delicate gums with the help of this teether and rattle. Designed keeping in mind your baby’s dental contour, this teether relieves discomfort during the teething phase. 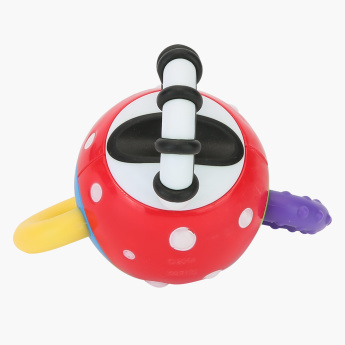 The rattle, on the other hand, keeps your baby playful and offers a distraction from the teething discomfort. Feature 2 : Gently messages and soothe gum itching. Feature 1 : Designed accordingly for teething and rattle. Feature 3 : Brighter color helps to develop visual sense.